Designed by the National Audubon Society and made from recycled materials. This banner is made even better with Toland's unique sublimation process guaranteeing a flag with fabric durability, vivid color and retention of shape for years to come. 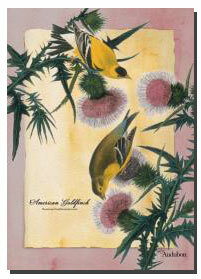 The American Goldfinch decorative banner measures 28" x 40".